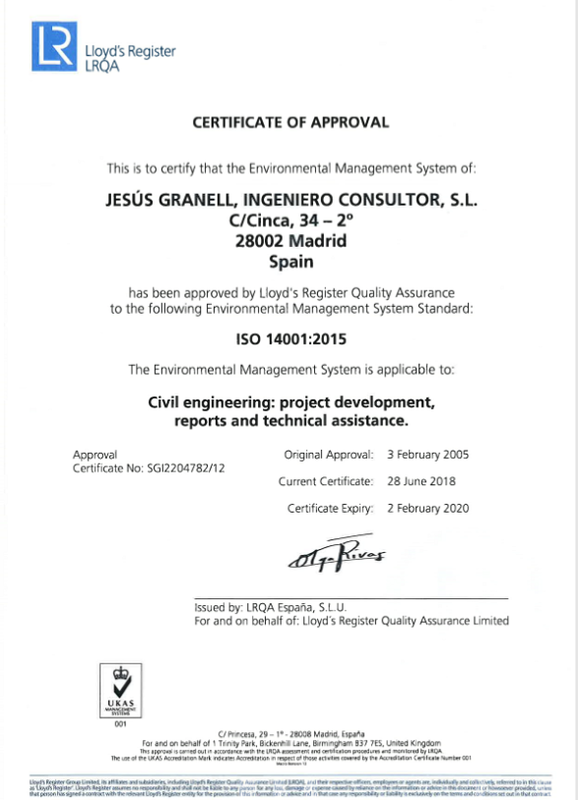 GRANELL Hydraulic Engineers is certified by the ISO 9001:2015 and ISO 14001:2015 standards, both since 2005. Our company policy evolves around a strong quality control system and a high level of commitment to environmental protection and their continuous improvement. We make an effort to implement this policy, update it, and apply it in all of our tasks. It must be kept consistent and compatible with our business plan and well known to our clients, staff and the companies we work together with. 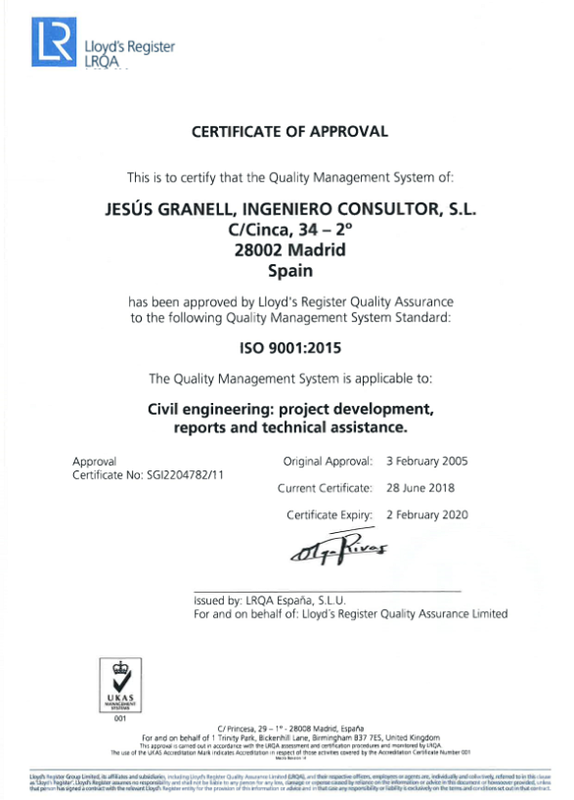 We are committed to the continuous improvement of the methods we use to maintain a high level of quality control, environmental protection and pollution prevention in all of our designs in hydraulic civil engineering. We like to innovate in our designs and develop fresh proposals to favor environmental sustainability based on the experience gathered in the tasks we have performed. We aim to offer alternative solutions that have a positive financial and environmental impact. We integrate our personnel into a team that is undergoing continuous formation. Responsibility towards our clients and engagement with offering them the best attention is an important part of our company culture. Sharing the knowledge of our acquired experience helps to make us more efficient and competitive. We undertake to fulfill our clients’ requirements and to comply with the existing legislation dealing with all aspects of environmental protection and quality standards, managing the risks and opportunities involved in our projects with a forward looking approach.